I am a big Jane Austen fan. I’ve read the books, I’ve seen the movies and the BBC adaptations. I would love to have a Jane Austen party one day where the girls wear long dresses and the guys wear top hats. (Yes, I just wrote that.) And to me her signature work is Pride and Prejudice. Now I’m not going to talk about any of the movie or TV adaptations today. Mainly because I don’t feel like arguing over which is better. I ENJOY THEM ALL. No, today I’m going to wax poetic about the awesomesauce that is The Lizzie Bennet Diaries. 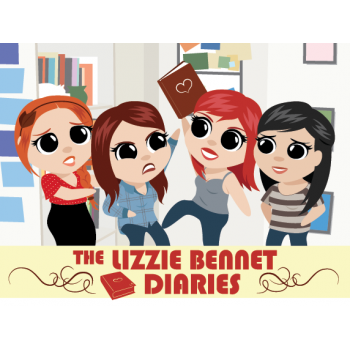 In a nutshell The Lizzie Bennet Diaries is an online modern adaption of Pride and Prejudice. Lizzie is a 24 year old grad student who video blogs her diaries on YouTube and through that the story of P&P unfolds. Almost all of your favorite characters are here, but with a modern twist to them. I came to watching these a bit late. I remember seeing this being talked about but it wasn’t until after it ended that I got hooked into them. What makes LBD so awesome is that it’s a social media interactive experience. The characters were not only posting vlogs, but also active on Twitter, Tumblr, Facebook as well. 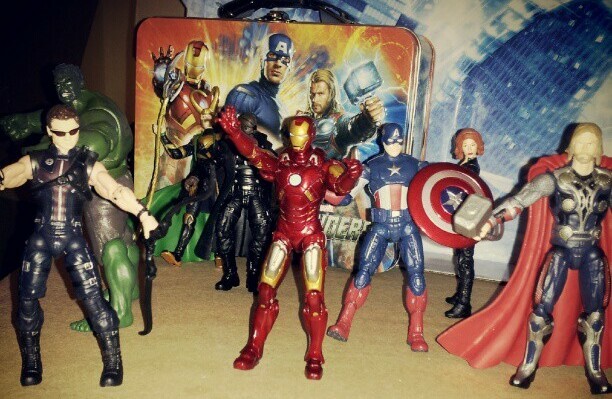 And you the fan could follow and interact with the characters in real life. Of course you couldn’t change the actual story but you got to be IN the story. The videos alone are top notch. (The series recently won a Primetime Emmy.) They are high quality, the acting is superb, and the writing is spot on. I can’t tell you how many times I died laughing or sat there sobbing watching a single episode. This is honestly one of the most creative things I’ve ever experienced. If you’re a guy, don’t think that this is some piece of chick lit fluff. The writing is extremely witty that I challenge you to watch a few episodes and see what you think. I include here the first video in the series. WATCH IT. Did you like it? (If you didn’t, we are not friends anymore. And if we weren’t friends to begin with, we will never be friends.) If you did, then here is the rest of the playlist so you can watch the rest of the story. Yes there are 100 videos, BUT they are no more than 5 minutes each and it’s so addictive that you will have to force yourself to stop. However, if you really want the full experience and to immerse yourself completely in the LBD world, go here where the ENTIRE story is played out. Because not only did Lizzie do videos, but so did Lydia, and Charlotte, and other characters I am not going to mention yet (SPOILERS) and they really help to bring the story full circle. Without spoiling things, I will say this edition of P&P gives Lydia a real voice for the first time and makes her character more worthwhile. Once you’re done with LBD, the folks at Pemberley Digital (it’s a real place!) also produced Welcome to Sanditon, again a modern adaptation of Jane Austen’s unfinished novel Sanditon. I will admit it’s not as charming as LBD and there some parts that drag a bit, but it’s still quite fun. And their newest offering started this past Monday, Emma Approved, based on Jane Austen’s Emma. Basically if you’re a Pride and Prejudice fan this is a fun new way to experience the classic story. If you’ve never read/watched it, then this is a fun and different way to join the rest of us fans. It’s so adorbs! WHAAAAAAAAT! On a fun personal note: two of my best friends are basically Lizzie and Darcy. Seriously, their story is exactly like that AND they are getting married! And while we get a kick out of watching the 2005 version and how Darcy acts in there, this version had us cracking up at the similarities between Dizzie and my friends. (And yes, I get to be Charlotte) Basically if you ever meet us in person and hear us say “DARCY-BOT” you will understand the in joke. And another shout out of thanks to @theharmonyguy for introducing me to this delightful and addictive pastime. Yayyy I like this post!! 🙂 DARCY-BOT *robot hand dance* – these diaries are really really good – I also highly recommend.